Hello everybody! Apologies for my absence yet again, it's been a crazy time and I've had a lot going on. For the first time in ages I've also felt a bit unmotivated to do nails. Never fear, I'm slowly working my way back and today I have something very exciting! Months ago me and one of my favourite people aka Becca from A Certain Becca Nails were talking and decided to do a twin mani. It's taken us a while but we got there eventually! I think I'm right in saying I encouraged Becca to buy the stamping plate we used so that's why we settled on this mani. I guess we should take a look at we came up with, yippee! 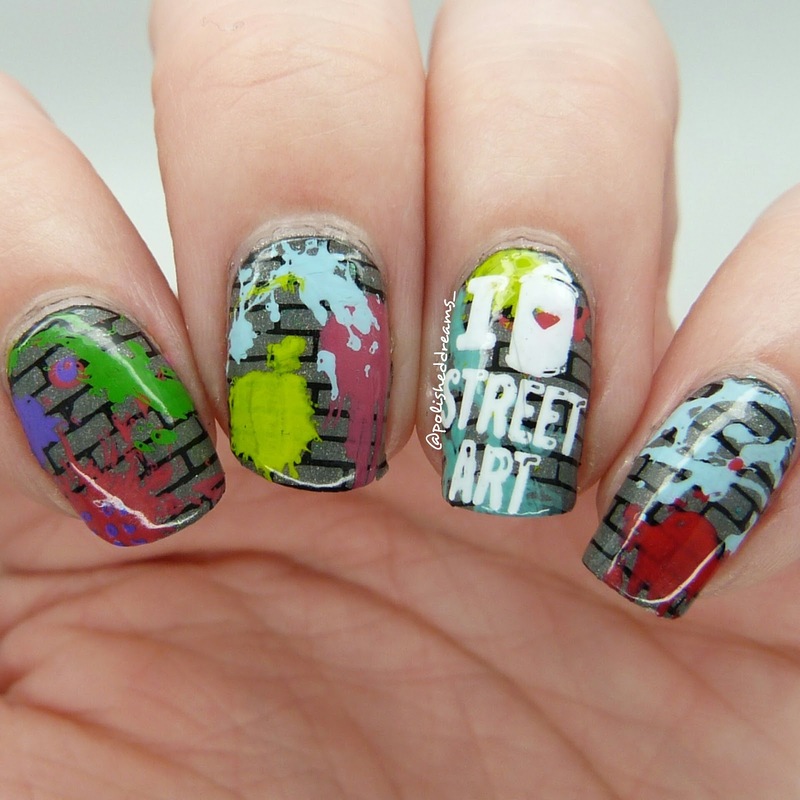 Say hello to graffiti nails! 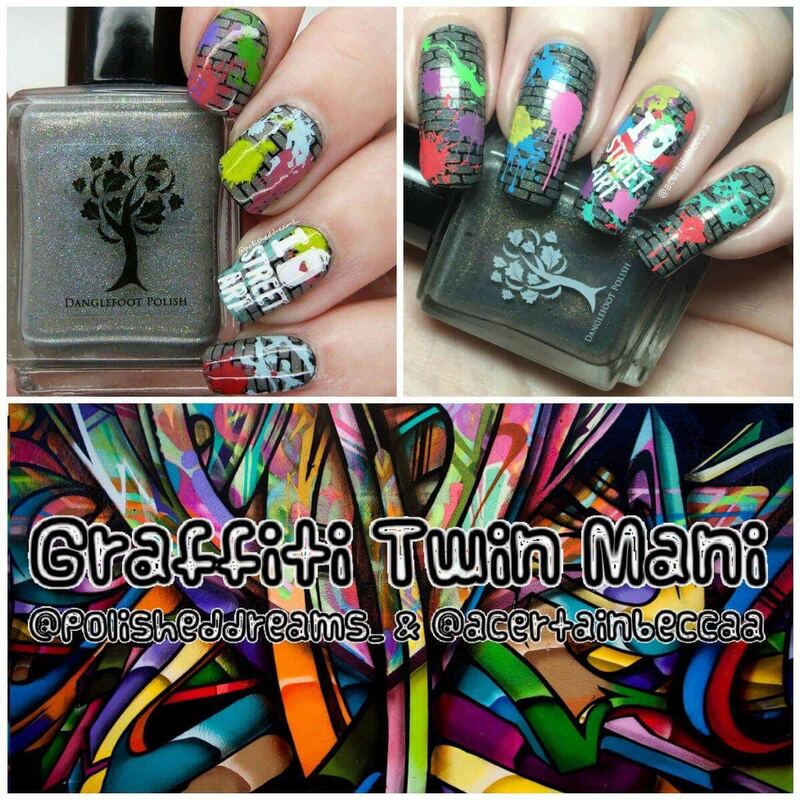 I've been wanting to do this for ages so I'm very happy I finally got round to it and as a twin mani with Becca! 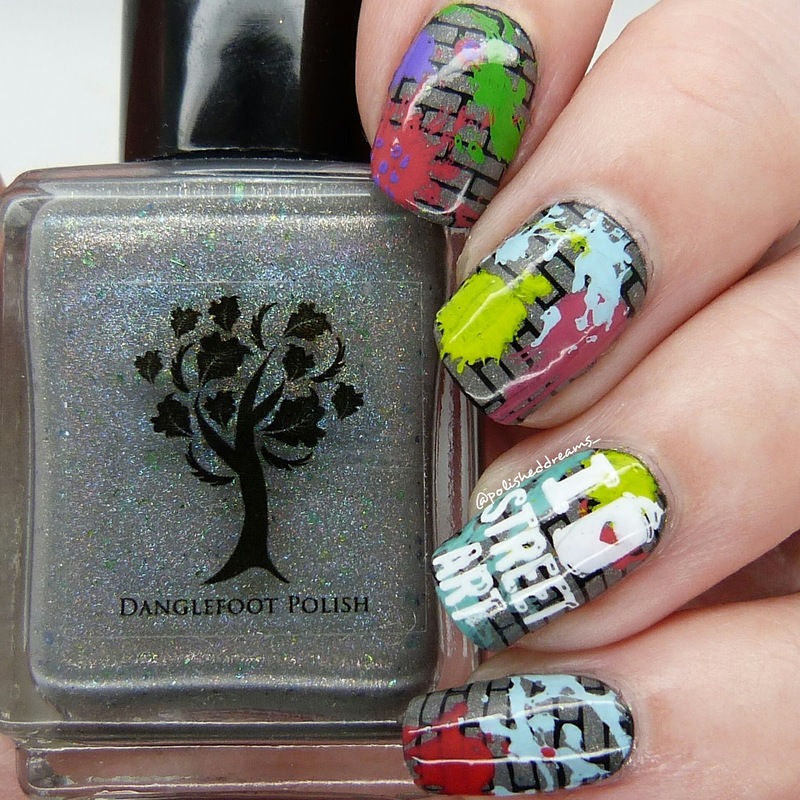 For the base we settled on Hello Dearies from Danglefoot Polish which was pretty perfect as it was one of Becca's collaboration shades. Next came tons of stamping polishes and I won't list them all because there was a fair few but I used polishes from MoYou London and Born Pretty Store. 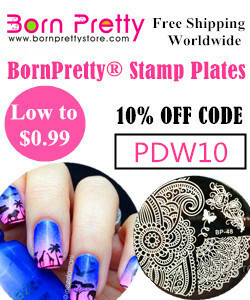 Oops, and almost forget to mention the stamping plate... It is of course the amazing Lina Nail Art Supplies Make Your Mark 01 and I got mine from my fave supplier, Nail Art UK. I'm so pleased with how they came out but I do find the difference between mine and Becca's nails hilarious. You can see I struggled to fit as many paint splatters on as she did but I think they still look good thankfully! 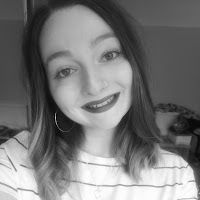 I'll keep this short and sweet because I have lots of other things to do tonight but I just want to say a big thank you to Becca. Not only for doing these fab twin nails with me but also for being a great friend and always making me feel better by buying far more polish and plates than I do! 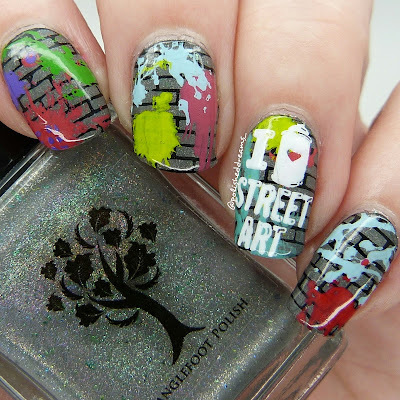 Make sure you go and read Becca's amazing post here for more photos of her mani! Glad you're both teamed up for this mani and I love them! I think your nails managed to fit loads on, and looks so similar to Becca's.